Dark, intense and suspenseful with a love so forbidden that it will likely get you killed. This unique and enthralling dystopian story had me hooked from the first paragraph to the very last page. Your heart will be racing the entire time! I LOVED this book! LOVED. Dark and riveting, powerful and emotional, suspenseful and exciting… it made my heart race with panic and warm with some really heartfelt, romantic moments. But I have to say this was the first book where there were so many times that I was almost yelling at the characters, “No! Don’t fall in love! Don’t do it!” I’m talking big-time forbidden romance… the kind that will get you tortured and killed… but the type that is real and true and cannot be ignored. The way this book starts, it grips you instantly, a sense of foreboding intensifying as you try to figure out what’s happening. You are immediately thrust into pulse-pumping action that grips you with panic. Soon, you realize that Lexi is trying to escape The Guards of the Commander, before she’s taken to the Hole. Sinners are ostracized to keep the society pure and uncorrupted… to an atrocious place that is ruled by the Commander’s crushing and cruel fist. 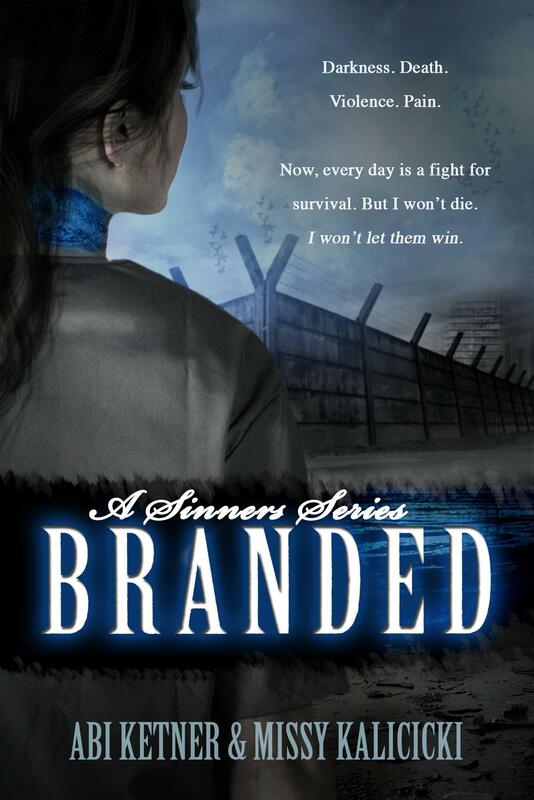 Branded a sinner, Lexi is taken to the Hole, her life forever changed and now forced to live in depravity. She’s escorted to this unforgiving and frightful place by a Guard. Let me tell you that I was afraid just reading it… I was vividly imagining this atrocious place, where each person was accused and branded of one of the 7 deadly sins: Lust, Gluttony, Greed, Sloth, Wrath, Envy and Pride, each indicated by a color collar around their neck. It’s there, in the Hole, where she’s told by her guard, Cole, that he’s been assigned to protect her and watch her. 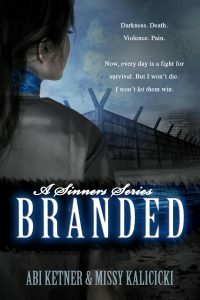 She is also told that those branded blue, Lust, like her, never last. Surrounded by constant danger, her life become isolated and terrifying. Cole, however, seems to soften and be kind to her and in such a terrible place, a beautiful connection begins to form between them. She has to rely on him constantly and he literally saves her life countless times. We learn that Lexi has had a possibly more terrifying background, her life shattering to pieces after the death of her father. Learning what happened to Lexi is one of the toughest scenes I’ve ever read in a book. She’s been “abandoned, neglected, starved, betrayed and abused.” So when Cole, who has been nothing but wonderful and trusting, asks her to open up, Lexi finds that she just can’t share that ugly part of herself. She’s ashamed and scared, while Cole grows frustrated at his attempt to better understand her, and their situation. I absolutely and totally fell in love with Cole. He is so brave and kind and thoughtful and comforting… and all the good things you can imagine. The way he protects Lexi, with an unyielding fierceness, well, it just had me all kinds of swooning. And I loved that Lexi was also a strong heroine. After everything she’s been through, she has reason to be weak, but she is anything but that. Her courage grows and her focus sharpens as she becomes determined to make a difference in that awful place. Succumbing to the vulnerability of their feelings is scary when the consequences are considered. But the love they feel is so inspiring and fortifying. I had mixed feelings because I wanted them to be together, but at the same time, I was so afraid at what could happen to them. In the end, secrets are revealed as they action peaks to heart-stopping levels. I can’t get over how much I really FELT this book, FELT the story, the characters (even the dog – Zeus!). It’s intense and dark, but balanced with moments of love and hope. We don’t have a cliffhanger, but there is so much more to the story and I cannot wait to see what happens next in the next installment coming out next year, Hunted. Highly, highly recommend this book!